Tired of mice infestation in your home that just doesn’t seem to go away? 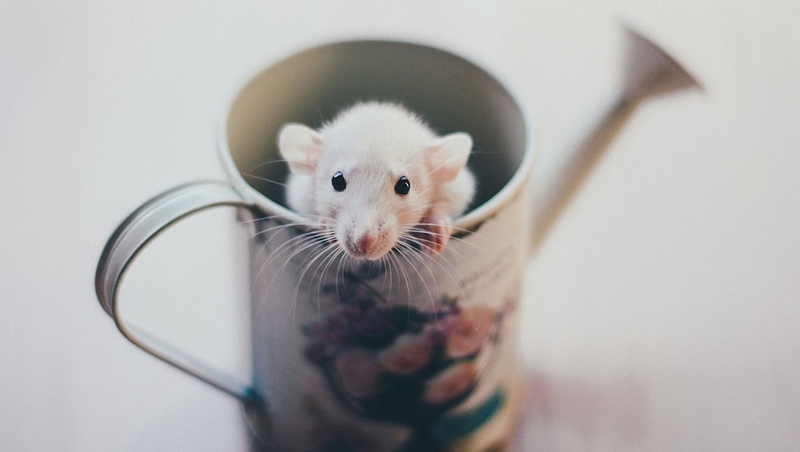 Apart from making your house dirty and causing damage to your furniture, these mice may also carry viruses and bacteria leading to serious diseases in your family. So if you want to know how to keep mice out of your house, we present five proven methods that are sure to keep these rodents away from your beautiful home and get rid of them once and for all. Possibly the most favored places for mice to enter homes are any cracks or holes near your doorways or windows. Have a close look around your house to check for them and block them using strong materials like concrete and mortar mix. If you aren’t careful, mice can easily gain access to your home via pipes and chimneys. The solution is easy: simply install screens inside them and cover the holes around the pipes and wires with steel pads to keep your home protected. Want to know how to keep mice out of your house? Simply keep your doors and windows closed. If you like to keep them open during summers, you can fix screen doors and windows to block the mice and still enjoy the breeze and sunlight from outside. If your windows are jammed and don’t completely close, then just put a hardware cloth around them. Mousetraps are generally one of the most effective gadgets to get rid of mice and have been for a long time. Initially a simple device that simply used to catch a mouse after offering it bait, a mousetrap has now evolved into different mechanical and electronic versions. You could choose a mechanical mousetrap that simply catches or kills the mice or go hi tech and set up an electronic mousetrap that gives an electric shock to the rodent, killing it in an effective way. Regardless of which one you choose, the important thing is to put the mousetraps in strategic locations. First mark the places where they are living or nesting. These spots would most likely be around walls, near floor moldings or to the far side of furniture. You should be able to catch a few mice in some days, but if you don’t you may want to experiment by putting the traps in other places. Sooner than later, the traps will start showing results. Do remember to check the mousetraps at regular intervals and dispose the trapped or dead mice as soon as you can to avoid the risk of disease spreading in the home. To confirm you’ve eliminated all the mice from your home, make sure to clean all their droppings regularly. When you don’t notice any for quite a few days, it indicates you may have finally cleared your house from mice. Place these near your main doors, windows and other likely places of entry and you can be sure the mice will run off once they sniff it. You can get snake poop from a pet store or zoo. Peppermint’s strong smell discourages mice from coming anywhere close to it and hence works as an ideal deterrent. You can put peppermint plants near spots where mice generally gain entry from. Or you can put a few drops of peppermint oil on cotton balls and place them near any vents or openings in your house. There are electronic devices available in the market that discharge high frequency sounds which drive mice away from their vicinity. Look for businesses that have expertise in organic solutions. Most likely, they may also make pesticides and natural repellents for mice too. One of the best ways to handle mice infestation in a home is to use mouse poison. While such poisons are easily available at any pest supplier stores, you need to closely look at their labels and ensure they are of a certain ‘strength’ to work effectively. Not all mouse poisons are available for general use. Certain professional mouse poisons are restricted for use only by experts as these can be misused or create risk for other animals if not handled properly. Generally these poisons are only allowed to be used inside homes. General public can buy amateur mouse poisons from retail stores or online shops after checking for their strength and instructions. You can get these poisons in a variety of shapes and sizes like boxes and trays. Just choose one or more and kill those dirty vermin. Of course if nothing works and you are still grappling on how to keep mice out of your house, it’s time to bring in a professional. Once you’ve tried on your own to get rid of mice and have only seen them increase in number (they breed extremely fast! ), simply call in a mouse exterminator. With their experience, professional mice exterminators will save you the hassle of looking for places where mice may have started nesting and will also know how to bait and catch them. Not only will they find and seal all access points to prevent mice from entering your home in the future, they will also make follow-up visits to see if the mice are back and take remedial measures. These experts will adjust or put new traps and refill them with new baits and advise you on any future invasion by these unwelcome furry animals.